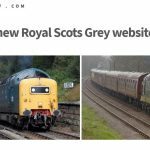 As many will by now be aware, 55 022 ‘Royal Scots Grey’ had its repaint completed as scheduled at Knorr-Bremse Rail Services Works at Springburn and was rolled out of the paint shop on the morning of 6th February in time to work her booked train to Shields T.M.D. 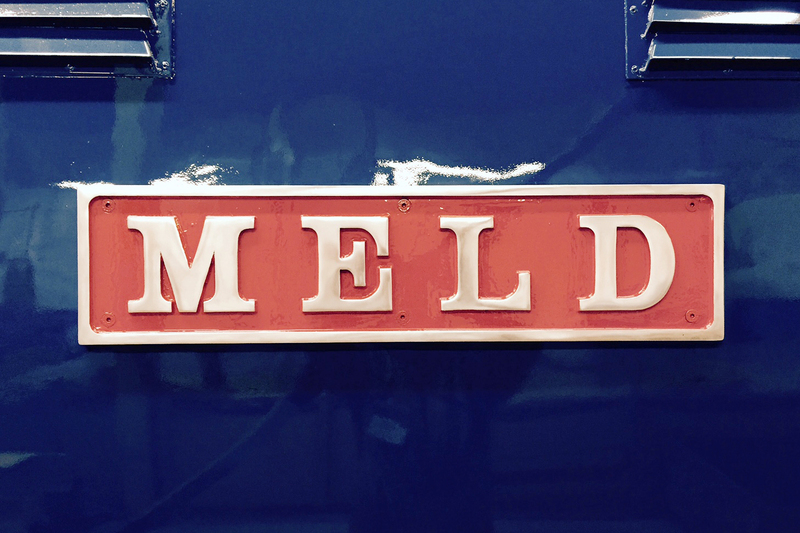 The loco now carries the number 55 003 and the name ‘Meld’ with white windows as applied at Finsbury Park Depot. This loco was the first to receive this embellishment at the North London Depot and was completed on the 6th April 1979. 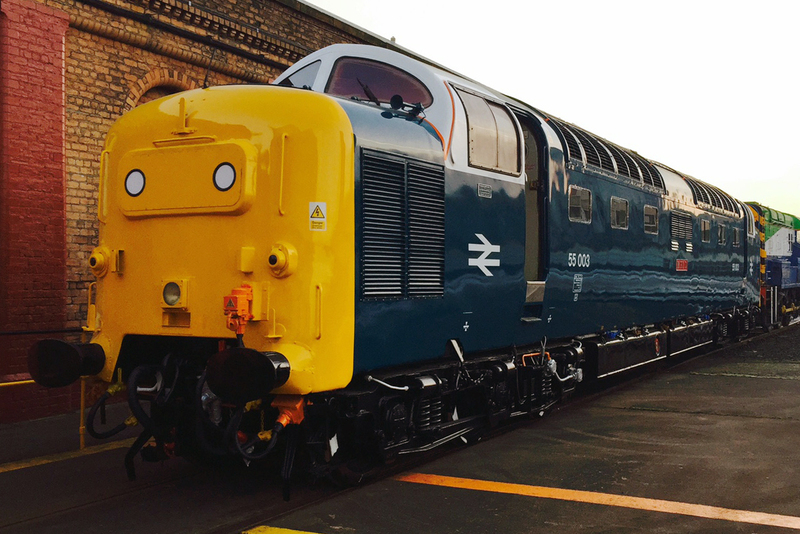 The Finsbury Park ‘White Window’ colour scheme was a favourite of many Deltic fans and many have commented that they would like to see 22 in this scheme at some stage. An attempt was made to apply White Windows in vinyl at Bury in July 2013, after a full day of work, it was decided that vinyl would not work and the plan was abandoned. 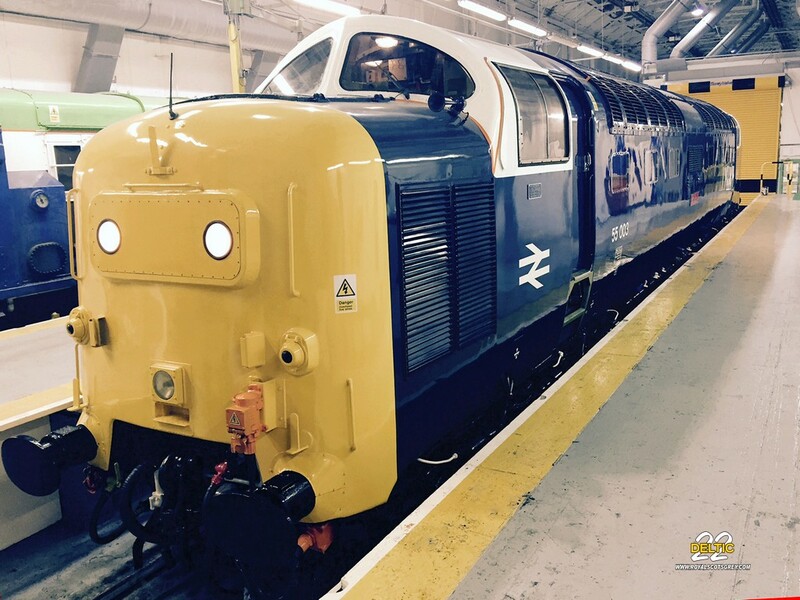 The scheme was resurrected as soon as work was planned to start on the repaint in mid January 2015 and we decided to go the whole way and also revive some memories of a long lost favourite of many. From feedback received, it seems that 99% of people who have commented are wholly in favour of our venture and we have received so many great compliments. 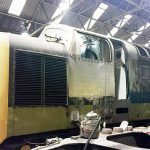 At the end of the day, it’s paint, vinyl graphics and a few bits of metal, that will be carried for a period which have enabled such a dramatic transformation and the loco will always be 55 022 ‘Royal Scots Grey’ during her time showing respect to her late sister. 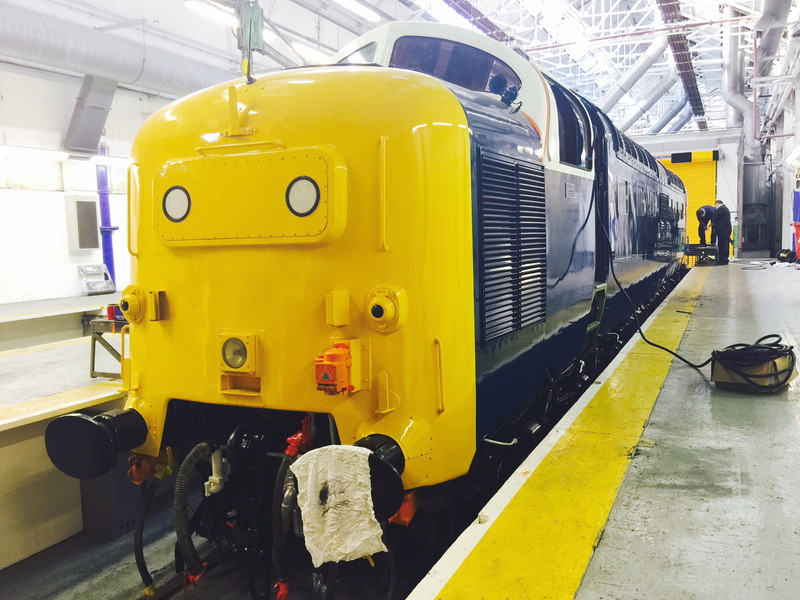 The work was far from a simple ‘blow over’ paint job, with some new body panels fitted, repairs to various sections completed as well as replacement of thousands of nuts, bolts and rivets generally with brand new rust free stainless steel components and also replacement of seals and gaskets with brand new. 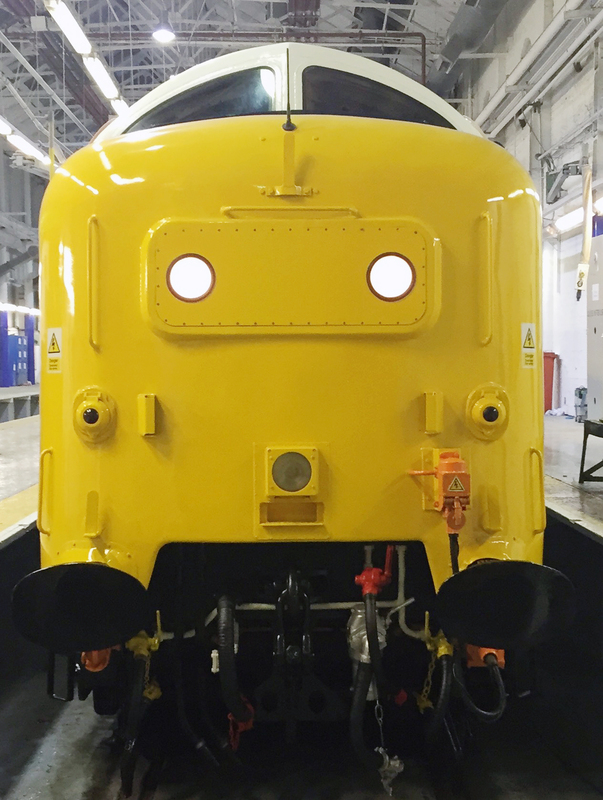 All in all a lot of work and a lot of cost, but the quality of the end result is evidence that we have invested wisely for the future well being of the famous first of the Class 55’s. 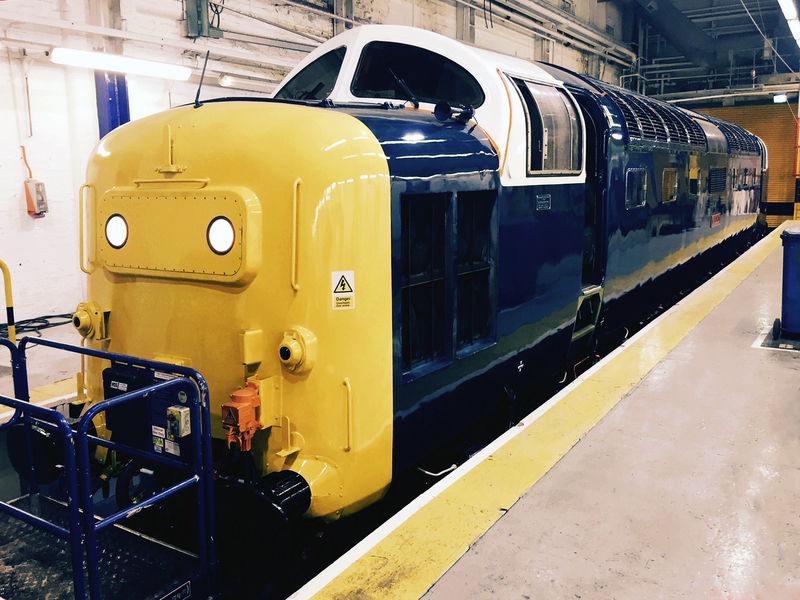 Thank you to all involved at Knorr-Bremse Rail Services, Springburn Works in Glasgow for achieving such a fantastic end result. The work was carried out with pride and passion by the day and night shifts, which involved a huge number of individual members of staff. Special thanks to Jim McKeen for originally assessing the job in great detail, Archie Ferguson for ensuring all the work was completed both on time and to our specific requirements. Finally, all the lads on the shop floor. Well done boys, a job to be really proud of. Thanks again to the volunteer team involved recently, namely Andy McLean, Dave Greenwood, Andy Marra and Alan Knight, your help is once again much appreciated. Finally, thanks to all who have made such encouraging and welcome comments and I hope all who see the loco in action will enjoy a little variety. 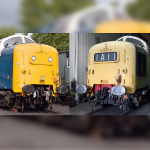 A few photos below taken on my phone show the loco on Thursday 5th and Friday 6th February.